You can dine in Michelin Star restaurants in far flung destinations, immerse yourself in the language of haute cuisine and bathe in truffle oil. But at the end of he day, it is fresh, simply prepared and unadulterated food that will win my vote every time. I had the pleasure of experiencing just this recently at Opal by Gordon Ramsay. 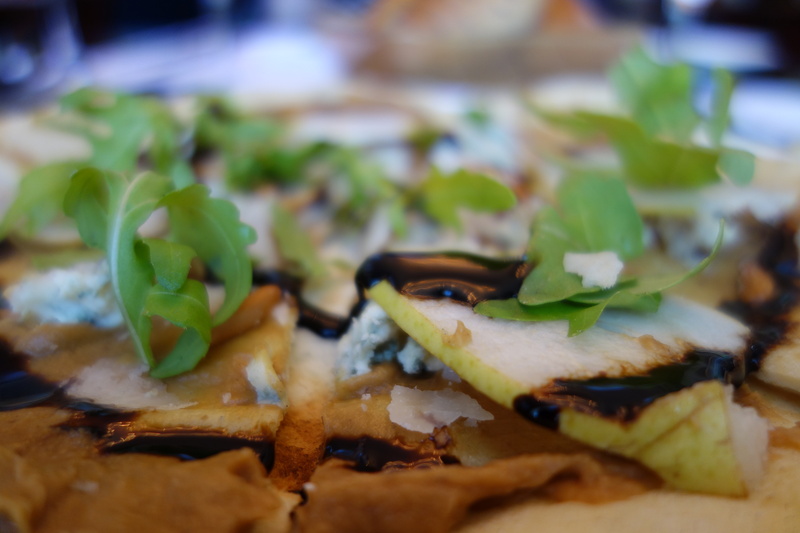 This thin crust pizza with pear, a eggplant paste, bleu cheese and parmesan with a sprinkling of pine nuts was the perfect combination of sweet, savory, salty and crunchy. 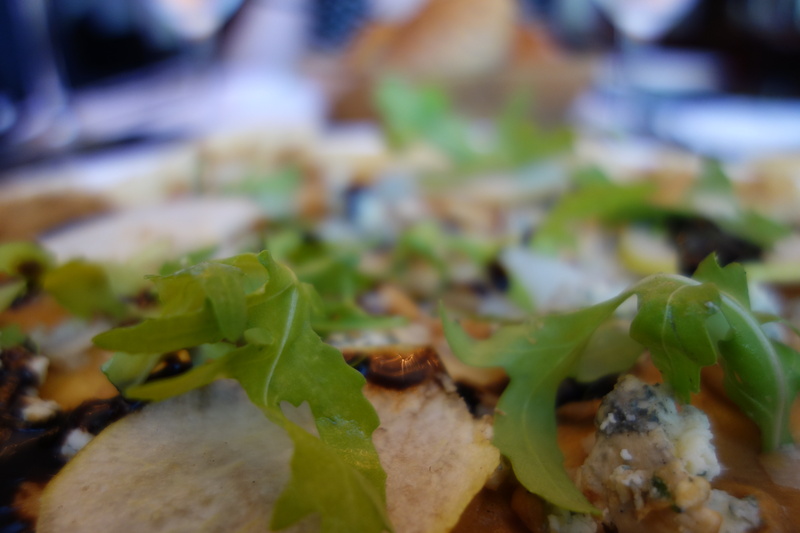 But at the same meal, I was blown away with something many of us dismissed on the menu. It was simply written as tomato bread with bresciola. 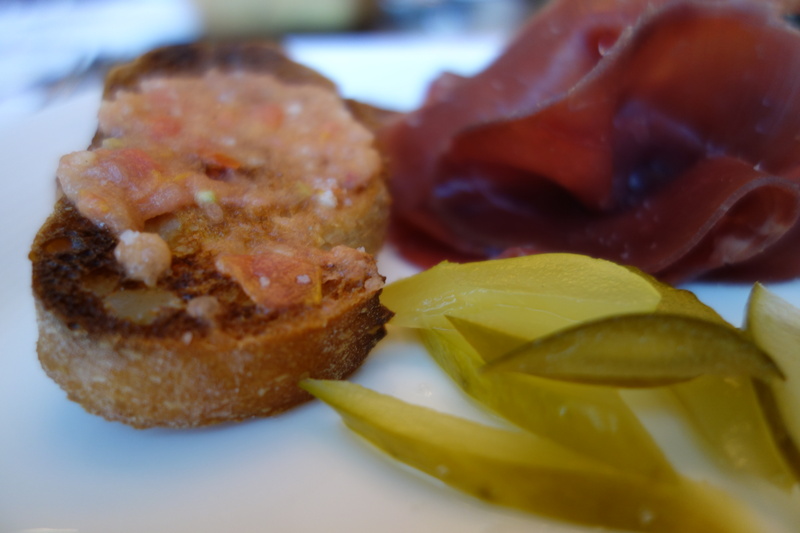 And when the plate came out, it was simply that – tomato and garlic on crostini accompanied by shaved bresciola and pickles. It literally took me a minute to devour it and almost licked the plate clean. I didn’t. I have standards. But I did think about it.